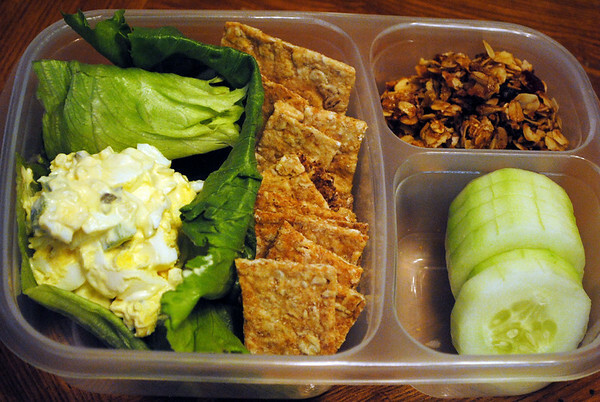 Egg Salad on lettuce with homemade Wheat Crackers. Homemade Granola and cucumber rounds. A thermos of milk, some grapefruit, and a cloth napkin added to cooler. Thanks to Michelle of All Home Cooking http://bit.ly/9LpjH5 for sharing this!